← Black bean salad to replenish your magnesium! This salad was prepared for a potluck and served after a multitude of delicious dishes. We thought that people would eat very little after the gourmet meal but, surprisingly, the digestive benefit of this salad was evident as soon as you had one mouthful. In fact, we had to make seconds as the big salad bowl was empty before it had even gone around the table. The recipe was kindly provided by Susan Vigneux from Vancouver and here it is: ( Notice that she is careful not to give away all her secrets leaving the amounts up to your creative input!). 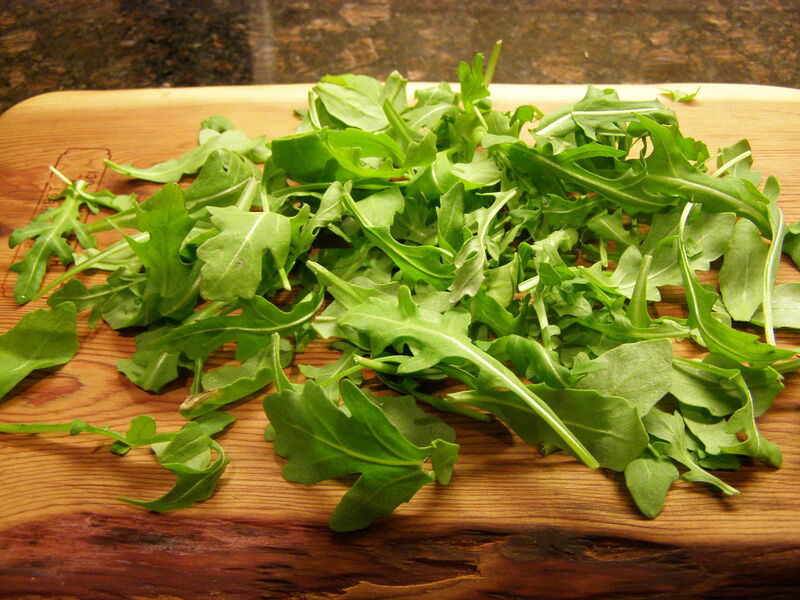 The dressing is incredibly refreshing and Arugula (Eruca sativa) is rich in Vitamin K, and A,B,C, and also in Potassium, Manganese, Magnesium and Calcium. If vitamins are an issue, then mix the aragula with fresh raw spinach leaves for an increased count of all those except calcium. 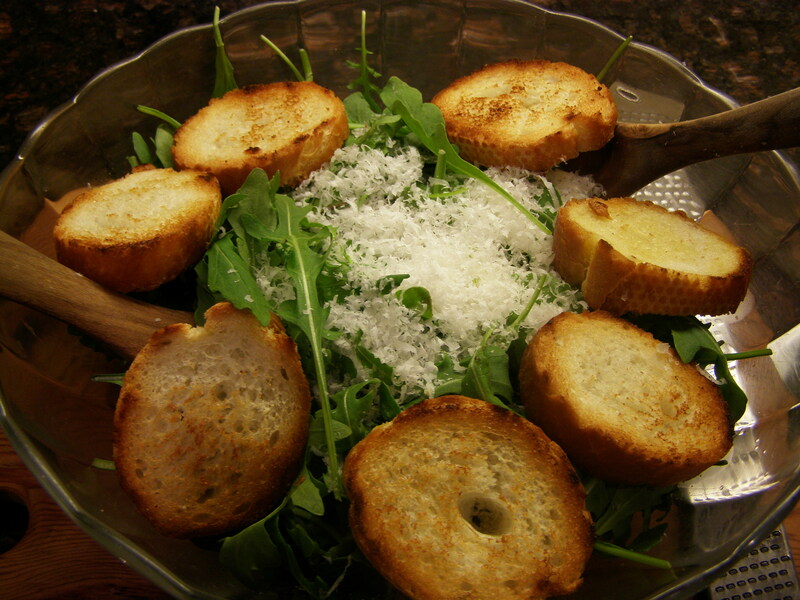 This entry was posted in Little help from my friends, Starter and tagged aragula, arugula, arugula nutrition, arugula salad, vegetarian, very good recipes. Bookmark the permalink.